UK's new classic rock outfit MATT MITCHELL & THE COLDHEARTS have announced the release of their first single 'Black Diamonds' on January 25, 2019. The song is taken from the self titled solo record which was recorded at the iconic Rockfield Studios, Wales earlier this year. MATT MITCHELL & THE COLDHEARTS just launched their brand new website: www.mattmitchellmusic.com today. British Singer/songwriter MATT MITCHELL (PRIDE, FURYON, COLOUR OF NOISE) has recently had the chance to embark on the journey of recording his long awaited debut solo record 'MATT MITCHELL & THE COLDHEARTS'. FURYON was MATT MITCHELL's next project. Formed out of the demise of PRIDE a heavier style evolved, with much love and praise from The likes of CLASSIC ROCK & METAL HAMMER magazines. FURYON had a great run touring UK/Europe and performed at several major festivals including DOWNLOAD, BLOODSTOCK and Poland’s gigantic WOODSTOCK festival. Not long after the release of the second album the band was put on ice so that the band members could spend more time song writing and considering their future. COLOUR OF NOISE were to leave things on a high in 2017 and with one door closing another soon opened in the shape of MATT MITCHELL's solo project with guest players - MATT MITCHELL & THE COLDHEARTS. Colour of Noise are a classic rock band from Brighton, England. The band describes themselves as "steeped in the tradition of the late 60’s British blues boom and early 70’s stadium rock." Continuing on, "You might know Colour of Noise singer Matt Mitchell from his band Furyon, or Randy Nixon on drums (Magic Bullet Band, Jeevas, Straw) and Bruce John Dickinson (Little Angels, b.l.o.w). It is our pleasure to introduce to you Dan Electro and ‘Silent’ Ben Daniels on bass. The songs we write deal with issues of permanence, holding onto what is great in our lives (people and music), coming to terms with change (broken dreams, relationships), trying to retain a sense of yourself in a mad world, and escapism through rock n roll. The Noise we make is mostly powered by vintage equipment. Not because we’re that stuck on a principle, it just sounds better to our ears. So does recording in the old way. People have asked us questions about our new band. We are writing and demoing for an album to be released in 2015. We will do gigs in 2015. We would love to see you there and will announce much more detail on April 7th." 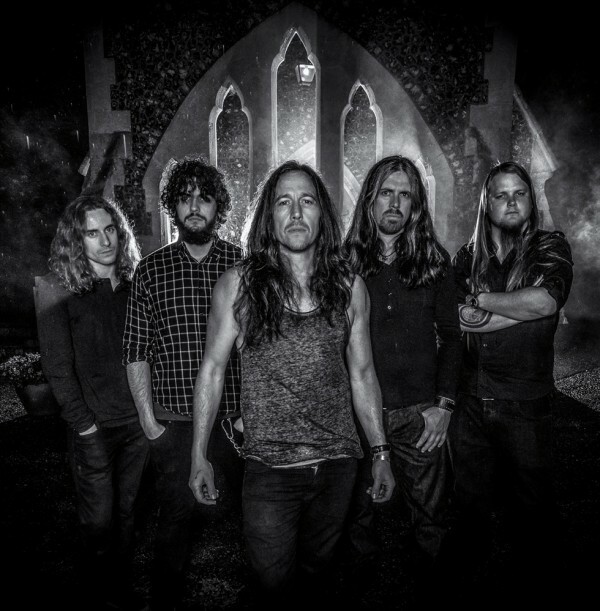 FURYON recently released the ‘These For Walls‘ video (http://youtu.be/TbLwSS4BkWI), premiered by CLASSIC ROCK UK. On the current issue of Classic Rock Magazine an exclusive covermount is presented. ‘Lost Salvation EP‘ featuring 4 new tracks from the band. Exclusive review on the Album and interview bringing FURYON news bang up to date. UK rockers FURYON to release their 2nd album, “Lost Salvation” via Dream Records/Cargo Records. The UK/EURO release will drop on January 26th 2015 and feature 10 killer new songs. The album will be available in stores and at all popular digital outlets. US/Canada release date to follow. On Christmas Eve, on CLASSIC ROCK MAGAZINE‘s website FURYON‘s first new video ‘THESE FOUR WALLS‘ will be Premiered. FOLLOWING THIS ON THE FORTHCOMING MAGAZINE ISSUE #206 An EXCLUSIVE FURYON COVERMOUNT IS PRESENTED! ‘LOST SALVATION‘ EP featuring 4 new tracks from the band. Exclusive review on the Album and interview bringing FURYON news bang up to date! The song ‘These Four Walls‘ will be also featured on the ‘Ones to Watch‘ CD, which will go out on all copies of the Classic Rock Magazine UK. “Lost Salvation” was recorded in Atlanta, US and Brighton, UK and mixed and produced by Rick Beato (Shinedown, Fozzy) & Ken ‘GL‘ Lanyon. 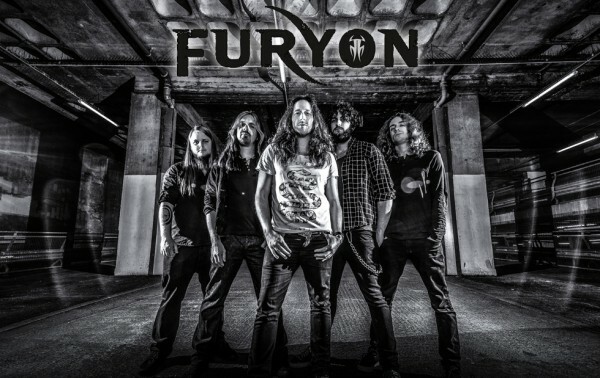 British metallers FURYON have announced their second headline Spain tour in September/October. FURYON just recorded their second album, produced by RICK BEATO(SHINEDOWN, FOZZY). FURYON looks to release their second beast later 2014. What’s to be expected is more of the same explosive guitar riffs and solos in well crafted song form. Expressive vocal delivery and melodies to scream along to. A possibly darker album still with progressive elements and a grungy edge. The album aims to be a 10 song album with additions (acoustic tracks and videos). FURYON are extremely excited and looking forward to sharing the outcome of this venture with the World. Oct. 02 – Extremadura, t.b.a. FURYON are hitting the UK to tour this August with Funk/Thrash Metal legends MORDRED. FURYON is a new band from the UK who like nothing more than to challenge expectations. Raised on a diet of heavy metal, prog, and classic rock. FURYON mix all these components for a truly unique and contemporary sound. Delivering huge rock-radio-friendly songs, with technically-challenging-yet-infectiously-catchy musicianship, they are dedicated to one sole purpose: making hard-hitting songs that will stand the test of time.